Happy book club Wednesday everyone! I hope that this new book club format is working out as well for you as it is for me. I feel MUCH relieved knowing that I don't have a deadline to meet. Rather ridiculous, I am, considering this was ALL self imposed, but there you have it. So if you're into the book club, this is how it will continue to work: I have the list of books on the right sidebar that I'm planning to read in the coming months. I'll add new books on there from time to time as things catch my eye. I'll arrange them from top to bottom loosely in the order in which I'm planning to read them. When I'm within 1-2 weeks of being ready to post a review, I'll add a date next to the title in question, so that you can try and finish up too if you're angling to finish with me and discuss your thoughts on that book in the comments. 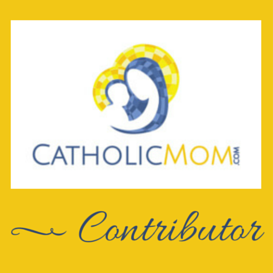 The title selection will now also include both Catholic and secular books, likely non-fiction in the secular category. Sound good? When I was six, my father nicknamed me Laurisa Kesslova because, he said, all great dancers were Russians, and since I was going to be a great dancer, I needed a Russian name. I aim to reclaim that name. When Lauren Kessler was twelve, her ballet instructor crushed not just her dreams of being a ballerina but also her youthful self-assurance. Now, many decades and three children later, Kessler embarks on a journey to join a professional company to perform in The Nutcracker. 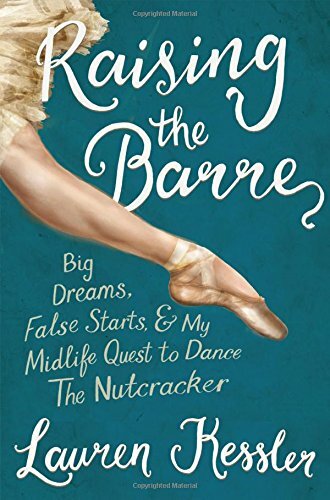 Raising the Barre is more than just one woman's story; it is a story about shaking things up, taking risks and ignoring good sense, and forgetting how old you are and how you're "supposed" to act. It's about testing limits and raising the bar(re) on your own life. The concept behind this book immediately drew my interest. You all know that I'm a dancer and have a childhood background in ballet, and that I've also written about my tradition of seeing The Nutcracker annually with my mom and now also my kids. So this book was a natural fit for me. Plus, I love memoirs, and the author is likely not much older than I am now, so instant relatability! My impressions: I liked the book. It took me a few weeks to get through it, but that's because my reading time these days is practically nil. I always looked forward picking up my Kindle and getting back to this book, which is a good sign. I would say that my favorite parts of the book were the beginning, where the author attends a half dozen different Nutcracker performances around the country one holiday season, and near the end, wherein she's rehearsing to perform The Nutcracker with the Eugene Ballet Company. Those parts of the book moved very quickly for me. The middle, wherein she spent some time talking about her workout regime to get into good enough shape to dance with a professional company, took longer for me to get through. That's not to say that I didn't like that part of the book, indeed I found it very interesting, but the tempo slowed for me there. What I found noteworthy about that middle segment of the book is that in the author's discussion of fitness classes and an overall increased workout regimen (and she mentions Barre3! which I love) she brings out quite a lot of personal history with regard to body image. We all have a personal history with body image, no? I can't imagine there's a person alive who doesn't. And in fact, she discusses how when she speaks with several ballerinas in the book who are tall and lean and gorgeous, the first things they mention about their bodies are negative. *Everyone* has a hang up (or two, or three) about the way they see their body, and the way that they perceive that others see it. It's not an easy thing, to be sure. It was incredibly thought-provoking. I spent time dwelling on this issue as I read the book. For my part, I had terribly insecure body image when I was a teenager and into my 20's, but now? I actually don't. I think it's because I turned 40. I care less about what people think now. :0 But I certainly understand, because I had this problem for years. Dance also helps with my ability to be happy with my body. I can't do everything I'd like to do (splits, back bends) but dance makes me feel good about myself. And I see dance do that for other women too, of all ages and body types. It's absolutely wonderful. I'm not certain that that fully happened for the author, which struck me as incredibly interesting. Throughout the book she spoke a lot about how self-conscious she felt in the dance rehearsals with the company. In my opinion, a large part of the reason for this is that she was working with a ballet company. Ballet definitely favors the young and very, very thin. The dancers are *under*weight, really. I'd feel uncomfortable in that situation too! She also seemed pretty self-conscious in the workout classes she was taking at first, but I noticed her confidence build towards the latter part of the book, especially in her Barre3 classes, which I thought was absolutely fantastic. The end of the book, when she's performing with the company, feels a bit condensed. It was very interesting to read, but I expected this section to be longer. I think it's because the author wasn't able to make all of the tour locations with the company due to her other commitments, so her performing schedule was more limited. In the end, I was surprised that she didn't spend more time in ballet classes prior to the start of rehearsals with the company, and rather focused on the workout/getting fit angle. Getting fit is great, and certainly important for endurance, but in dance, technique is everything. So, my approach would have been different, but variety of opinions is what makes the world go round, right? When I finished reading the book, I thought to myself how beautiful ballet is, what a wonderful foundation it is for all other forms of dance, and how grateful I am that I was able to study it as a child. However. :) Ballet isn't EVERYTHING. You are never too old to dance, nor is anyone too (fill in the blank) to dance. EVERYONE with a willing spirit can dance. There are LOTS of dance forms out there to try, and you will find out that resonates with you.